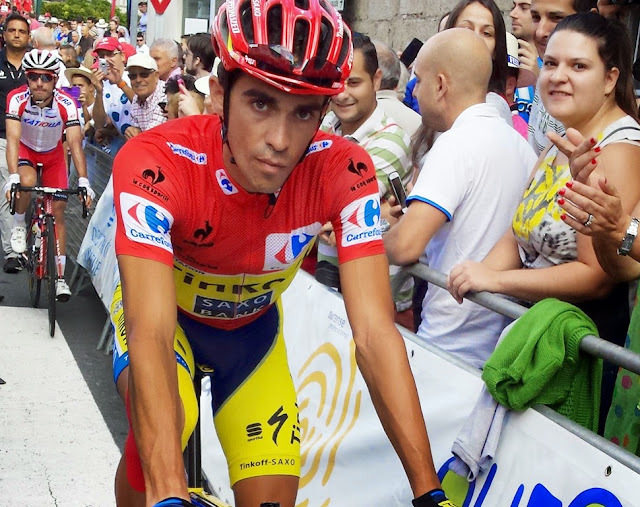 TOP SPOTS TO BIKE: MÁLAGA, Dancing in the streets, at Feria time! 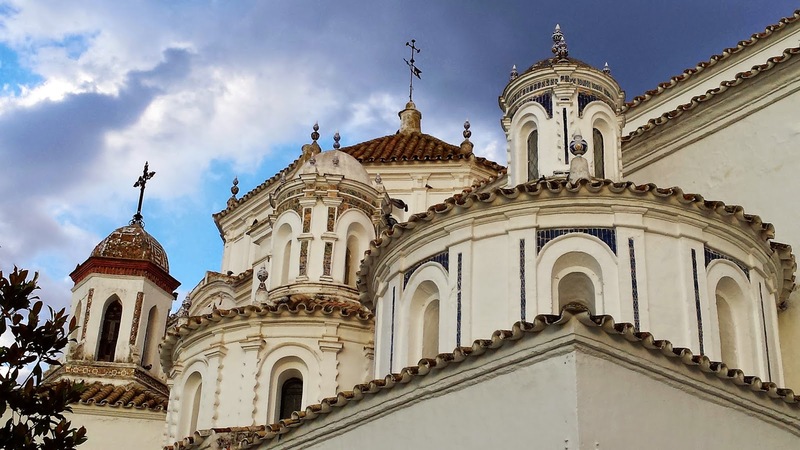 Málaga is more than a cheap flight option to get some winter sun in Southern Spain. With its Moorish influence in food and architecture, its bullfights, a museum celebrating the birth place of Picasso and a premiership football team, it offers the visitor the tang of real Andalusian Spain mixed with beach life and a lot of Sol especially in fiesta time. 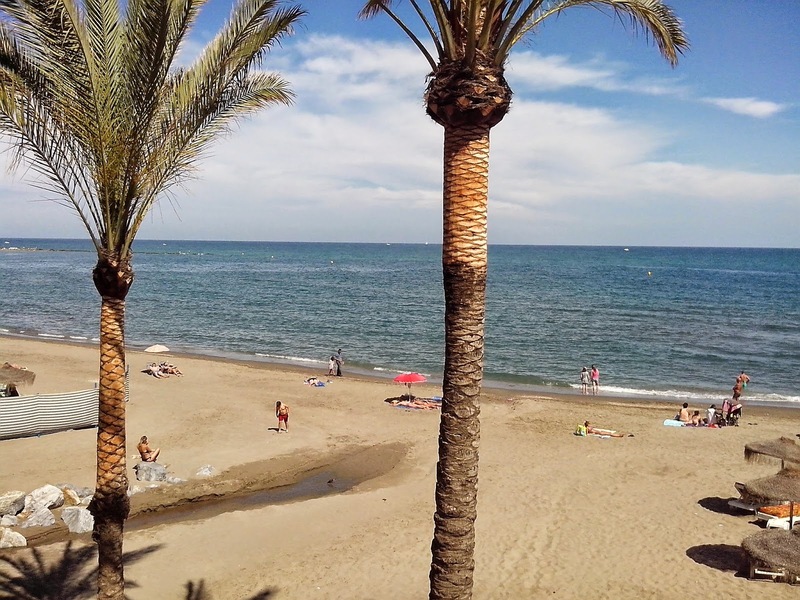 Each year an estimated 8.5 million tourists visit the Costa del Sol - 35% of these land at Malaga’s Pablo Picasso airport and most head straight to the beaches at the package holidayers Mecca of Tormelinos, Benidorm and Marbella. 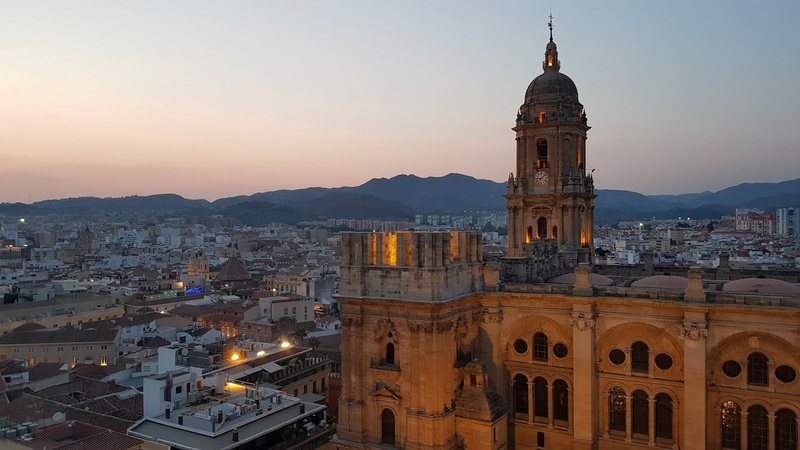 But just a few minutes away you’re in for a shock, as Malaga’s city centre is exceedingly Spanish and surprisingly untouched by the influence of the coastline visitors. Compact and easily reached from the airport (the electric train costs 1euro) it sits by the sea side harbour and is a wonderful romantic warren of interconnecting streets full of interesting shops, patisseries selling sticky honeyed sweets, the strong smell of morning coffee from cafes and men hawking salted almonds by the paper cupful from small stalls. Ancient roots secure this city with an exciting past and I virtually stumbled onto a 2nd century B.C. roman amphitheatre sunning itself on a quiet back street behind the Alcazba, an exceptional Moorish Citadel perched over the town. Originally settled by Phoenicians as a trading port and called Malaka in the 800 years before Christ, it went from hand to hand through battle, onto the Romans, Moors and then Christians. After the devastating expulsion of Moors from the city by the Christians in the 15thcentury, it declined, not helped by severe aerial bombardment in the Civil War and population persecution in Franco’s day. Recently, the city has worked hard to bring this somewhat grimy reputation into check with beautifying reformations to the port promenade and new paint jobs and in the bright sunlight which lit the crimson potted geraniums in so many iron wrought balconies, this bloody history seems far off. 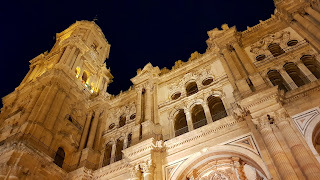 Especially since the whole city was on holiday for the annual August festival or Gran Feria de Malaga, and laughter, fun and dare I say copious drinking was foremost on everyone’s minds. Spectacular fireworks display a festival of booming fire colour and light began this years Feria, and the city residents, the Malagueños did not let up in the nine days of festivities, which actually commemorates the 1487 recovery of the city from the Moors. Having been to other European city’s festivals I was completely unprepared for this explosion of joyous emotion of which music and dance rock the city. As the local bus drove towards Malaga’s’ bus terminal, we became stuck behind several strutting handsome Andalusian horses, their long flowing locks pined with scarlet ribbons and a senorita perched on the back of each. “Ah Bueno, they’re going to the Feria” and literally the whole bus beamed appreciatively with a collective air of excitement rather than complaint at the lateness in time schedule. The Feria is spread out through the city like a long jubilant winding Congo line, with the Bullring (Plaza de Toros), Real de la Feria (large showground for exhibiters and main music programs) and downtown streets, host to singers, dancers and of course drinkers. With fans tucked in bosoms and small shot glasses hanging from leather straps around necks, this city parties with a vengeance. No training is needed here for Malaga’s 2016 award of European city of Culture, these people already have celebration down to an art and the beer and tinto verano (a dangerously refreshing mix of red wine and sparkling lemonade on ice) that flows during this week only adds to this joy de vivre. Dwarfing the tidy apartments on either side and the sombrero sellers below is the massive a la Picasso styled entrance way to the Fair, framing the main shopping high street’s (Calle Marquis de Lariolos) boutiques and large pedestrian marble throughway. Through this the crowds throng, past food and souvenir stalls to Plaza Constitucion at the end, resplendent with blue and white bunting bobbing in the summer sun and the dancers starting to warm up. Through the week, 172 musical artists are showcased in Malaga with concerts and free street performances and the roads are busy with traditional flamenco guitar tunes and impromptu singalongs in which locals gather clapping and cheering around these wandering minstrels. If you have ever attended any wedding in which someone’s older aunt or uncle attempted to dance misguidedly and on somewhat shaky legs to a popular pop piece well then you will be absolutely amazed at what the elderly community get up to here in broad daylight in public avenues and streets without the slightest hint of embarrassment. I stood on the baking sidewalk in 37degree heat frankly open-mouthed at the large roving groups of grannies in low necked frilly dresses, flowers behind ears, strutting their stuff without pausing to breath. I would draw the comparison to the extremely Spanish alluring character of Carmen, if she were not a prostitute, but her lust for life is there in each and everyone of these skirt twirling, coquettish ladies. Unbridled and utterly appealing all with the enthusiastic Malagueños on the side walks clapping along and often unable to contain themselves, jumping into the gathering to join the reel. Street after street after street. And despite the Costa del Sol and Malaga’s reputation as a haven for lager louts (mainly British and German it must be said) the only unsavouriness I saw in the weeklong drinking fest was the use of some back alleys as public loos. As I was told it is the Spanish culture and family atmosphere here that prevents any fracas and if you know you might run into your grandparents and their friends also drinking in the bar down the street you aren’t as willing to embarrass your self by indulging too much. With all this dancing I literally had to walk into the shady gardens of the massive conglomerate Cathedral and connecting Iglesia Del Sagrario to escape the throng. An interesting construction with some appealing lifelike sculptures, it is very close to the new (and wonderfully stocked) Museo Picasso (its 2004 fanfare opening was attended by King Juan). Malaga also has some lovely local beaches, plazas, promenades and view points (notably the Gibralfaro Castle, which has a nice café terrace). But the nicest way to spend the evening before your evening meal is to stroll in the cool with the Malagueños in the Paseo del Parque, a Mediterranean delight of overhanging palms. However sight seeing wasn’t on the agenda for this week, although shopping could have been as several shops stocking bright polka dotted dancers dresses were doing booming trade, I was dragged back for another drink of the clear local wine, Cartojal and more tapas. 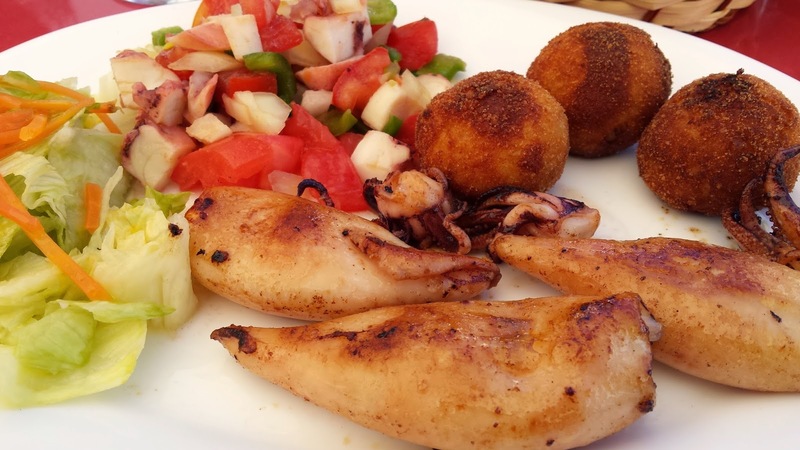 Tapas, good everywhere in Spain is excellent in its home of Andalusia. A tradition of placing a piece of bread over the wine glass to keep flies off soon developed into placing small titbits of food on it as well, olives, gherkins.. Now if you imbibe at a bar or café except anything from soft crusty bread laden with mountain cured ham, several pink prawns with sharp green olives, anchovies on tomato, potato chips and cashews. The list and permutations are endless and different with each drink. You could spoil your supper but you would have lots of time to do that as the Spanish only sit down to eat after the rest of Europe is contemplating bedtime. When to go: Malaga’s fair is in August – beginning generally around the 17th - 24th. This is high season in Spain and so one should book hotels in advance and bring sunscreen, it is hot and the sun powerful. Travelling: Special bus services are usually laid on for the Feria with one trip costing one euro and a Tarjeta Feria (Fair Card) giving you several trips (with some free) for reasonable prices. For those travelling from Canada, there are weekly flights with Air Transaat to Malaga from Montreal and other hubs. Website Info: Further information on coming events and accommodation the websites www.andalucia.com and www.spaintour.com are quite helpful. www.CyclingCountry.com runs bike tours in Andalucia mixing the great terrain for road biking, training with these great aspects of Andalucian culture!